An international nonprofit organizational development consultant and fundraising trainer, Marc A. Pitman is the author of Ask Without Fear! and founder of FundraisingCoach.com, a website dedicated to practical ideas for fundraising more effectively. Because of his dynamic trainings, Marc is invited to speak to organizations like Blackbaud's Conferences for Nonprofits, Habitat for Humanity International, the New England Association for Healthcare Philanthropy, the Association of Fundraising Professionals, and even the International Bowling Expo. 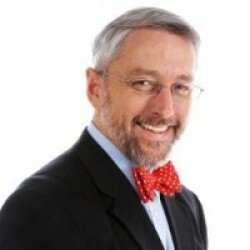 His experience in nonprofit fundraising in many sectors (colleges, prep schools, and healthcare), in executive coaching, and in leadership training has caused him to be featured in books and articles around the world and be sought out as a guest on TV and radio shows including those on NBC, CBS, Fox News, and the Canadian Broadcasting Corporation. Committed to making it ridiculously easy for volunteers and nonprofit staff to get fundraising training, Marc continues to write books and has even created a fundraising training DVD set complete with forms nonprofits can print out. That has also been expanded to be an entire board retreat-in-a-box so nonprofit boards will feel confident asking for money. Marc's experience also includes planting and pastoring a Vineyard church, managing a gubernatorial campaign, teaching internet marketing at Thomas College and co-founding 501MissionPlace.com, a forum for nonprofit founders and executive directors. He was also chosen as one of Maine's first "40 Under Forty," honoring Maine's emerging generation of leaders. He is the husband of his best friend and the father of three amazing kids. And if you see him drive by, he'll probably be singing 80's tunes loud enough to embarrass his family.